High-quality space-saving components: 30A continuous output. The combination of high-quality space-saving components and high efficiency switching technology made it possible for the DM-330MV to be super-compact and easy to carry for portable operations and still generate a High 30A continuous output ! 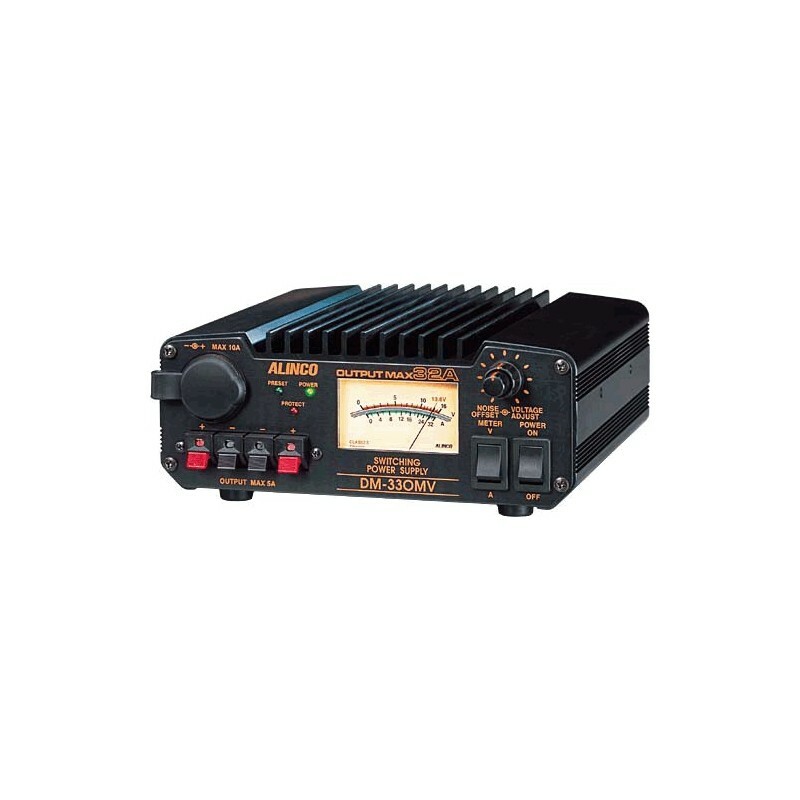 Alinco's communication technology has created a patent-pending Noise-Offset circuit to eliminate the pulse-noise of the switching circuit for the customer who demands more. Safety protections are also very important. The DM-330MV comes with short circuit protection, a current-limiting system (over 32A) and extreme-temperature protection. 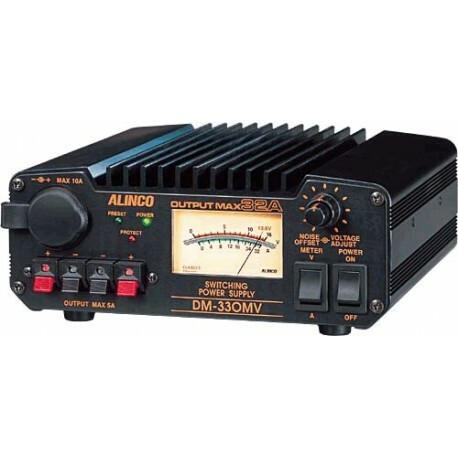 The pre-set voltage function makes the DM-330MV even easier to use. Just store the most frequently used voltage in the memory, and it is constantly ready to go. And of course it is easily varied. Vast output terminal convenience is just one more benefit of the DM-330MV ! A cigar-plug socket (Max 10A), a set of Max 32A terminals, and 2 sets of snap-in terminals (Max 5A) are conveniently laid-out and offer numerous variations for its operation.